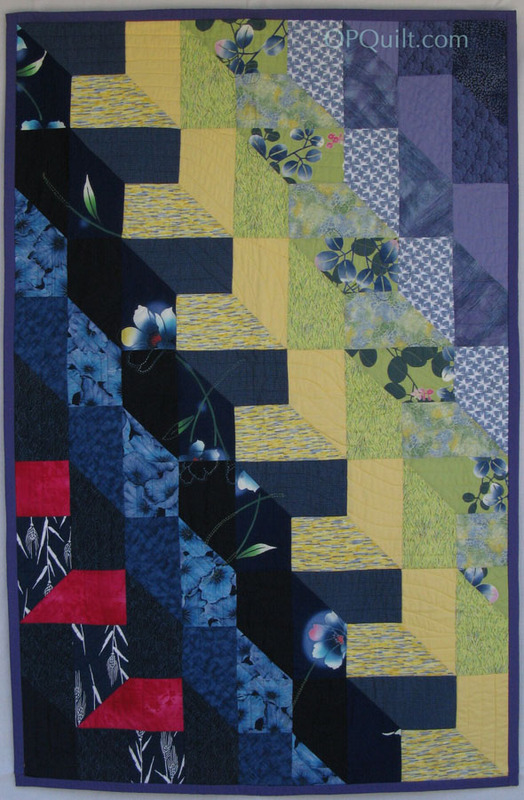 What Was Old is New Again | OccasionalPiece--Quilt! Yes, of course they exist! These ladies and their techniques are our heritage and should be acknowledged and praised! And good for you Elizabeth, for highlighting them! And what a wonderful quilt show you have given us! “Every Common Bush Afire” is lovely in its richness and depth of colour! 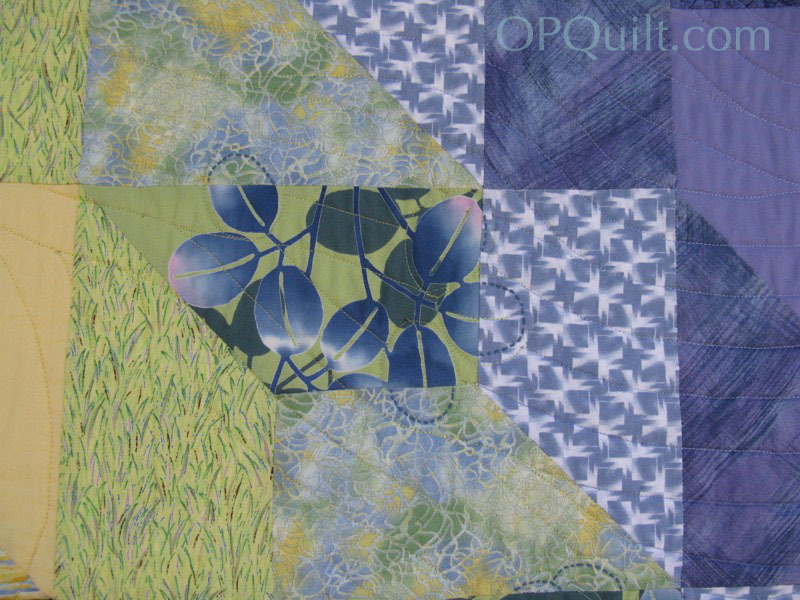 I agree about pieced backs being a nuisance from a hand quilting point of view! 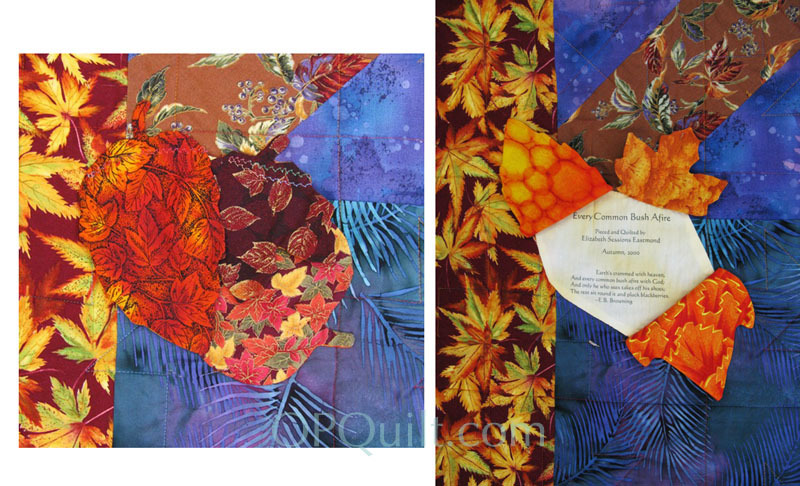 And what an inventive quilt label you have created with those overlapping autumn leaves- so very clever! You always give us plenty to think about….. I always chuckle at the newest, the greatest this or that. I guess when we live long enough we know that so much has already been done before. 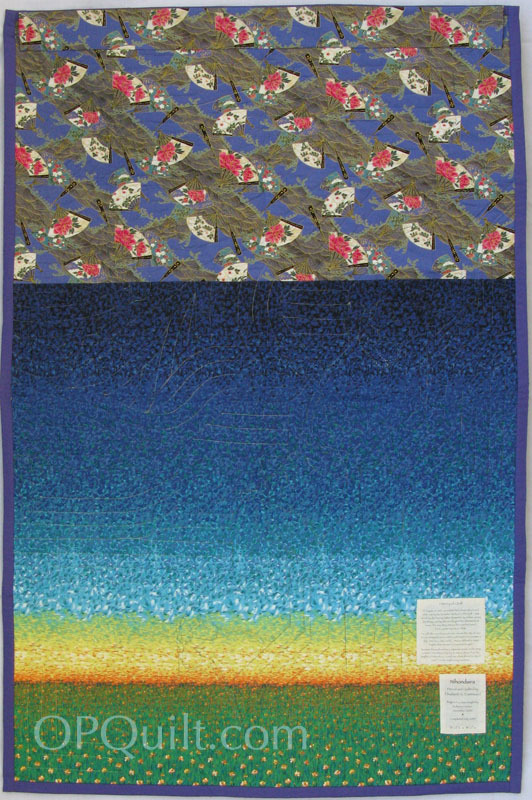 I love the sashiko stitching as you continued the designs. Beautiful! You have done such a great job, also, with the labeling. 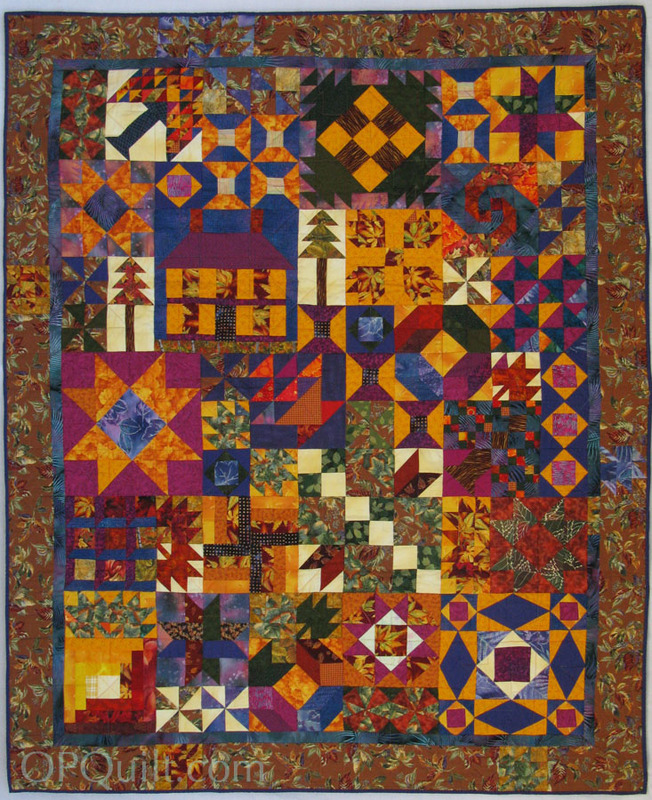 With this weeks heat, I am ready for some of those fall quilts to be brought out. How about you? I heard our 108* yesterday was the nation’s hottest for the day. How did WE get so warm??? 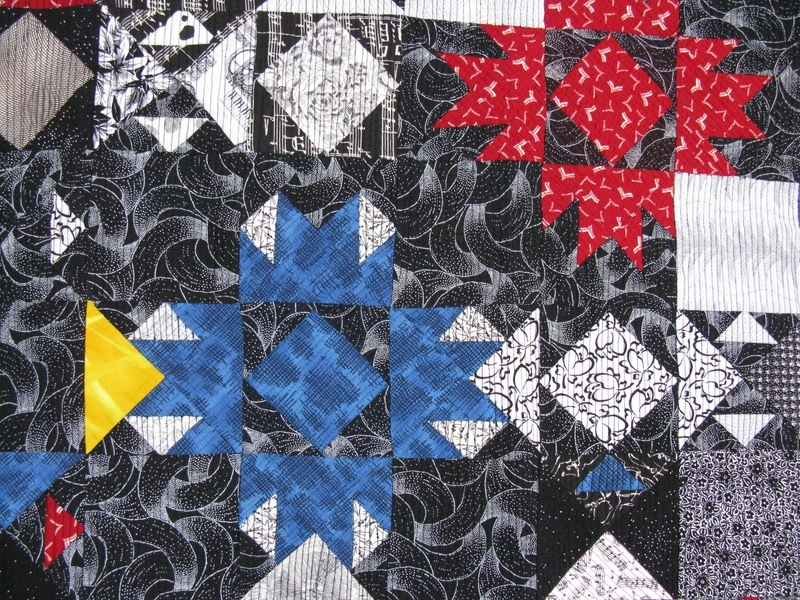 I’ve railed some about “modern” quilting, in particular as related to “modern” medallions. Uh huh. You’re going to take the second oldest format for quilted bedding design and call it modern? It ain’t, honey! 🙂 Thanks for the show and the reminders. You’ve had some wonderful opportunities to learn from the best. I envy you, I admit! 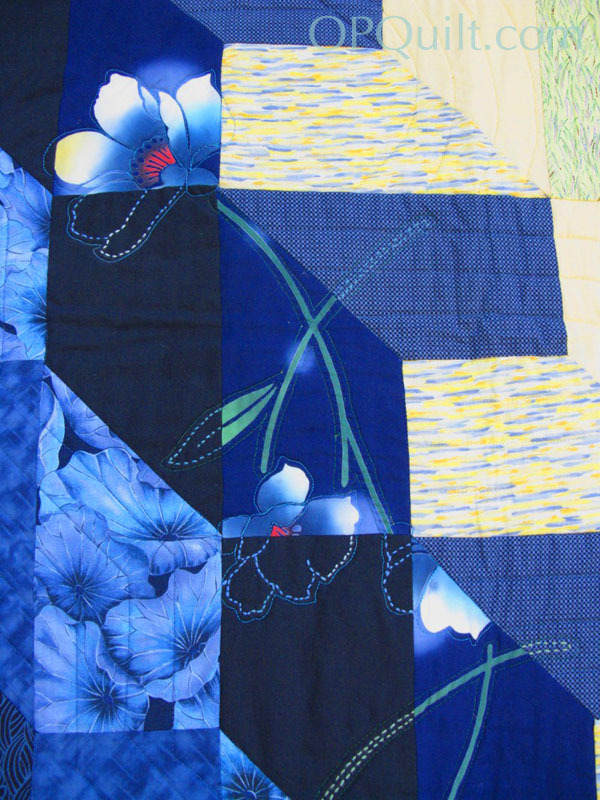 What is old is new again……sometimes we find that in ourselves and our quilting, at least I do. 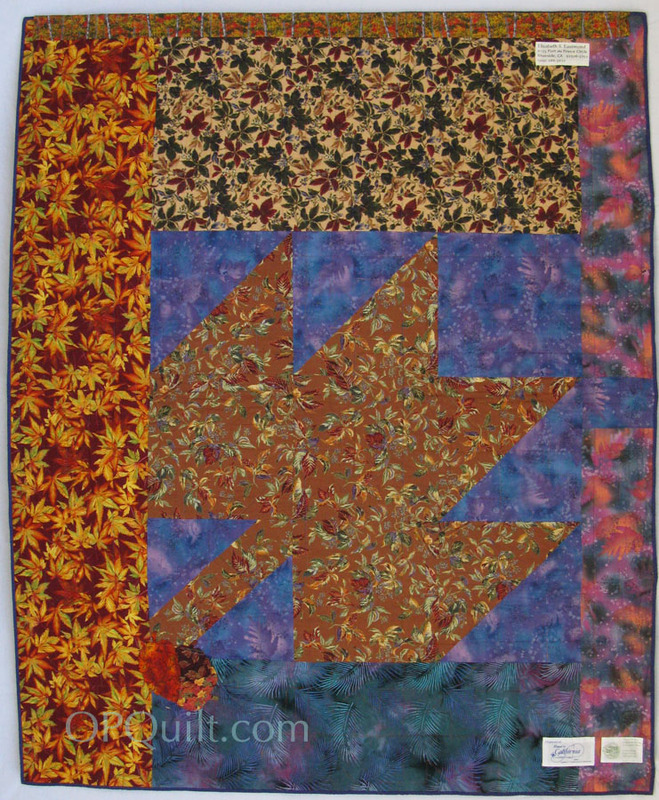 I recently had a fairly new quilter tell me that her friend created the churn dash block a couple of years ago. I had to smile. It’s still great fun for me to change a traditional block, like the churn dash by making it “chunky”, use some modern fabrics, and have students be excited over learning somethng “new”. 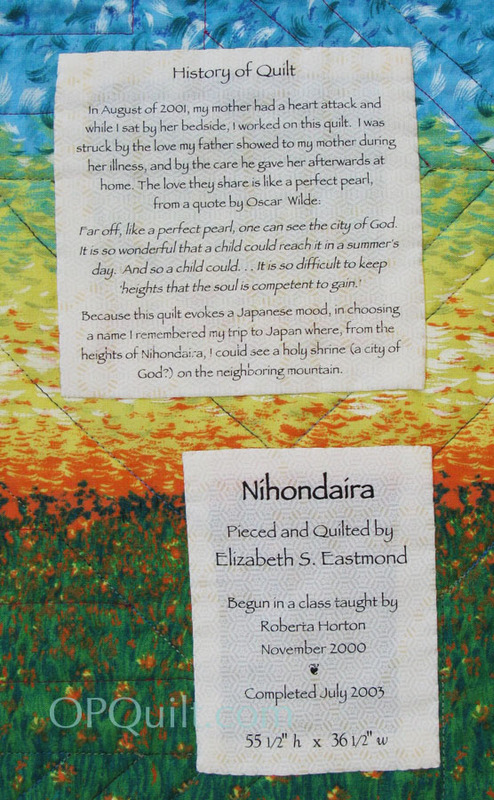 My mission is to reach those new to sewing or quilting and share the rich history of the art with them. We need to nurture a new generation of quilters so there is a balance of us ‘old geezers’ and young innovative participants at quilt shows. I love your quilts, especially that first one. It is an interesting conversation, what is new and what is reinvented. More important, I think, is what do you like to make today, as truly geometry is pretty old. Ah . . . the ancient question. Do I exist? Maybe on the fringes, ghosting along the edges. 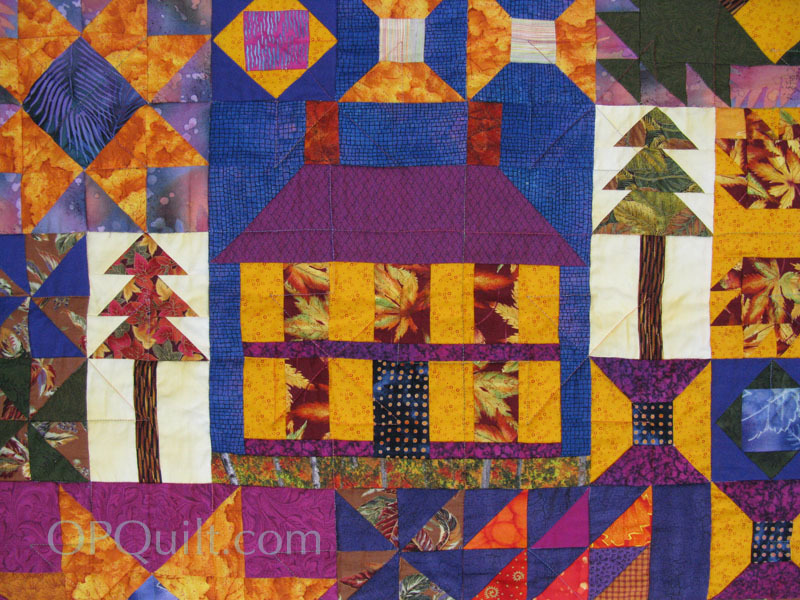 Your “old” quilts are lovely. 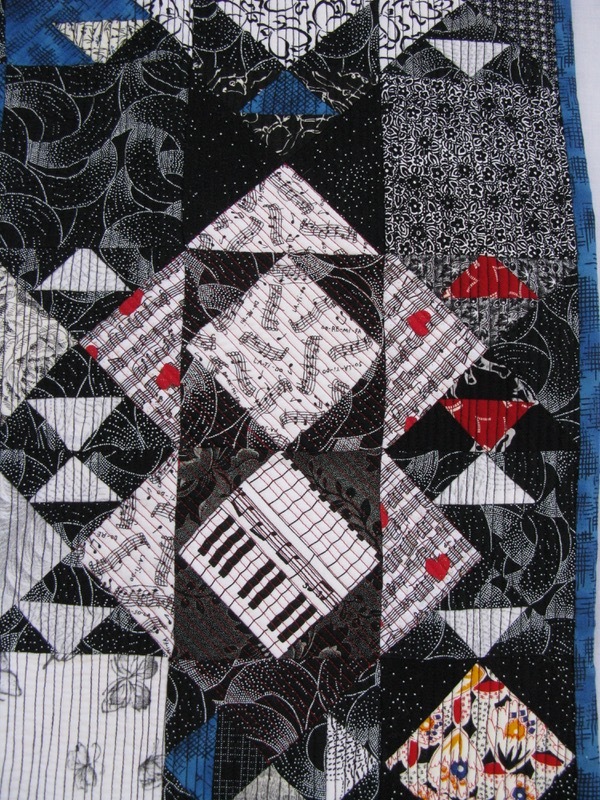 I say “modern” quilting is 80% chutzpah. There is almost nothing new in it. That said, I much prefer it to traditional quilts. I always enjoy these posts and the questions you pose. 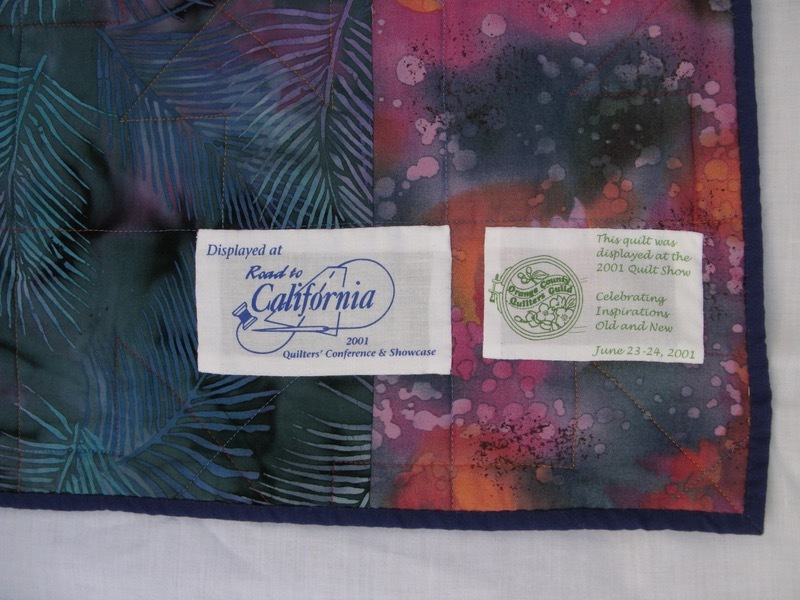 Hopefully more and more of the new quilters will broaden their quilting horizons and learn a little history. 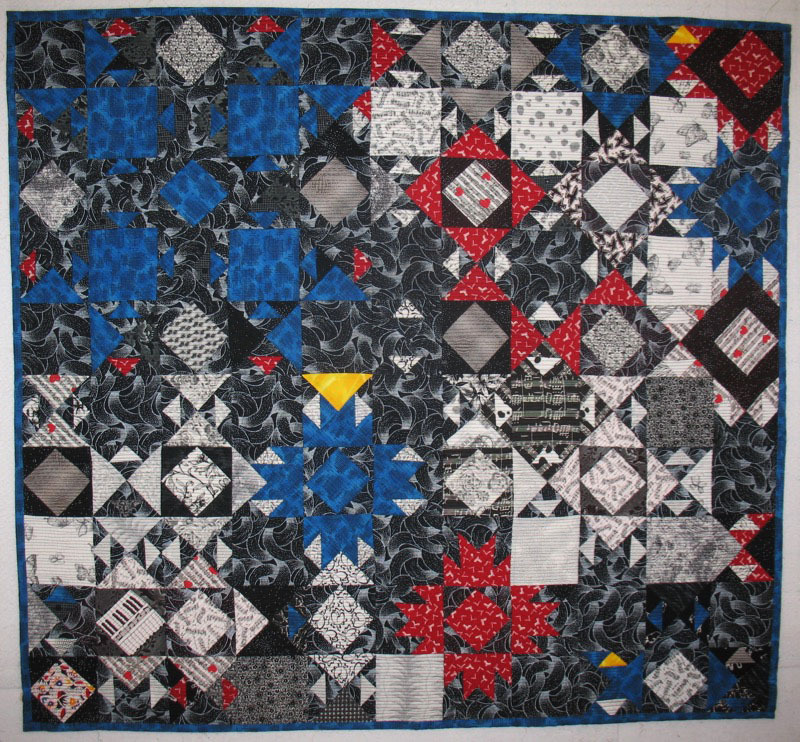 I find it interesting to look back at my earlier quilts. Some I still like, others not so much. It’s more about the fabrics I used than the design. My style has definitely evolved just like everyone else’s. 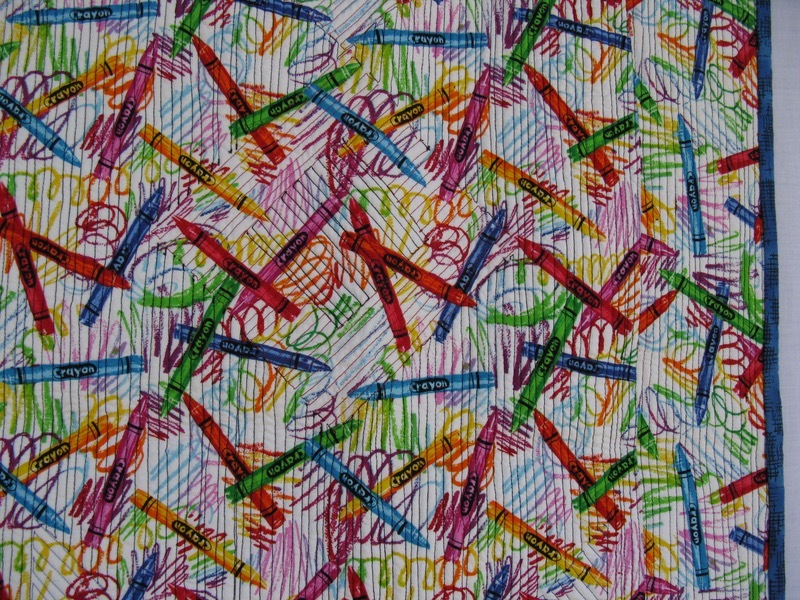 i often wonder what I will think of the quilts I’m making now in another 15 years or so. Keep up posting on this topic every now and then. I love to see the responses.